Sometimes it seems there are just as many toothpastes as there are people. How do you find the perfect type for you? By doing a little research, and working in consultation with a professional dentist in Jenkintown, you can select a brand that meets your needs. Here are some important things to keep in mind. A steady routine of brushing your teeth has many benefits for your mouth. Most dental professionals will recommend you brush your teeth at least once a day and preferably after each meal. This is because brushing helps remove harmful bacteria and plaque that can build up. Combined with the abrasives in toothpaste (generally a silicate material), the detergent and fluoride, brushing will help sanitize your teeth and make your mouth feel clean. Are your teeth stained from drinking coffee or tea? Have you had a problem with cavities in the past? Do you struggle with plaque and tartar buildup? Do you have sensitive teeth or gums? 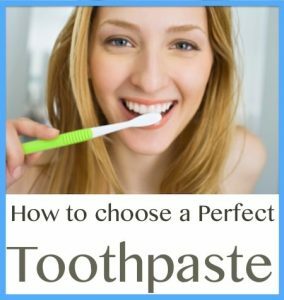 If you have any of these situations you can find toothpaste that will address it. For someone with yellow teeth, a product that is high in silicates can work well; also, a brand that includes whitening agents can bring your teeth back to a more original color. Certain brands are formulated to reduce plaque and tartar. A high amount of fluoride might be helpful for someone who has had high levels of decay. Getting the right brand might take a little time, but finding a product that works best for you can pay off in cleaner teeth. The next time you go in for a checkup to your dentist in Jenkintown it could be nothing but smiles. 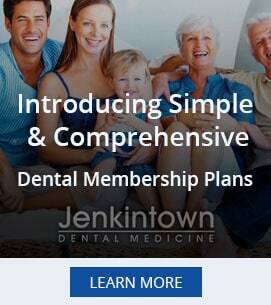 At Jenkintown Dental Medicine we practice a full scope of general and cosmetic dentistry with expertise ranging from porcelain veneers to dental implants, crowns and bridges to straightening your teeth without braces through Acceledent. Drs. West and Dr. Wilk can now correct a wide variety of so-called permanent cosmetic dental problems, and can literally redesign your smile. We offer free consultations, personalized attention, and customized solutions for your dental needs.